I discovered a couple of fun fabrics as I attempted to tidy my stash. They were intended for a casserole tote that I had seen in a magazine, but by the time my fabric was (somewhat) organized, I didn’t know where the instructions were. My kitchen is blue, red and yellow; and I bought the fabric (originally for a casserole tote) to coordinate. That would explain the purchase of yellow-based fabric to go with a floral with no yellow in it. 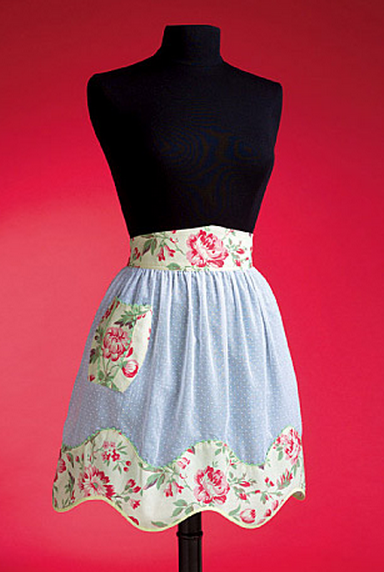 This apron has a shaped waistband and hem and a cute little pocket. This looks like dotted Swiss was used for the main fabric and a cotton floral for the accent fabric. Impractical, but so cute! 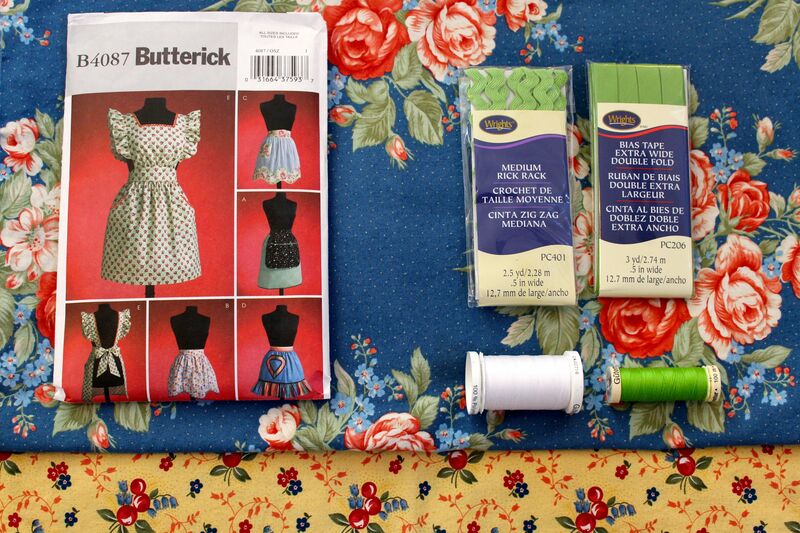 The best part of this quick, fun, stash-busting project? No full-bust adjustment needed! In no time at all, I’ll have a pretty little apron that coordinates with my kitchen. Beautiful! Wear it whenever you feel like it.